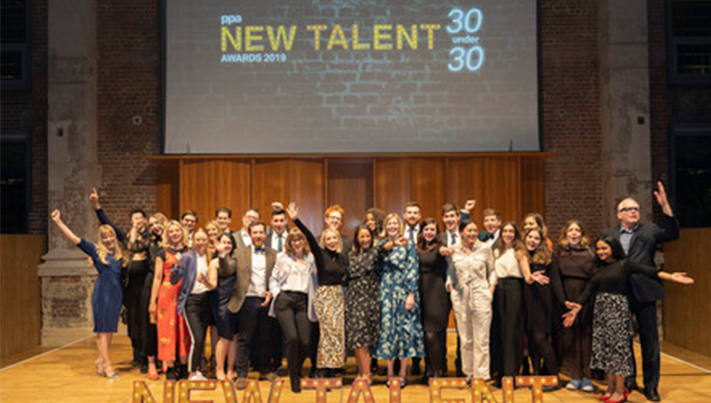 Data Economy’s founder and editor-in-chief João Marques Lima has been awarded the PPA 30 Under 30 New Talent media award for his work at Data Economy, the leading source for business and finance news and opinion within the IT infrastructure sector. Lima founded Data Economy in September 2016 as part of Broadmedia Communications' portfolio expansion which includes the Datacloud and Edge Congress series. The award is handed out to media professionals to “shine a light on the outstanding efforts and achievements of the rising stars in consumer magazines and Business Media”. More than 130 nominations where received by the Professional Publishers Association (PPA), an organization that has been active for more than 100 years and represents today over 250 media brands. Born as an idea in Monaco, Data Economy – part of the Euromoney Institutional Investor PLC range of titles - has rapidly shifted market perspectives. The publication is the world’s only 24/7 news and commentary resource for data centres, cloud and edge computing, and has expanded its presence from a website to also covering print media, video production, podcasts, market reports and events. Data Economy recently launched the Finvest Summit as the premier forum for finance, investment, transaction and legal intermediaries in the data centre, Edge and cloud space. Lima’s interviews portfolio within Data Economy includes Denmark’s Minister for Foreign Affairs Anders Samuelsen, Prime Minister of Luxembourg, Xavier Bettel, the Director General of the European Space Agency Johann-Dietrich Wörner, Yang Yuanqing, Lenovo’s chairman and CEO, and other international CEOs, Presidents, Chairmen, Investors and Entrepreneurs from across the globe. Data Economy has in the last six months also added four new employees, proving the successful strategy implemented by Lima over the last 30 months, with further expansion planned in the future. “Receiving this award is a welcomed industry recognition not only of my work but to Data Economy as whole,” Lima said. “We have worked extremely hard to ensure this publication took off and was built with the right pillars to continue its constant growth both in audience reach and revenues.